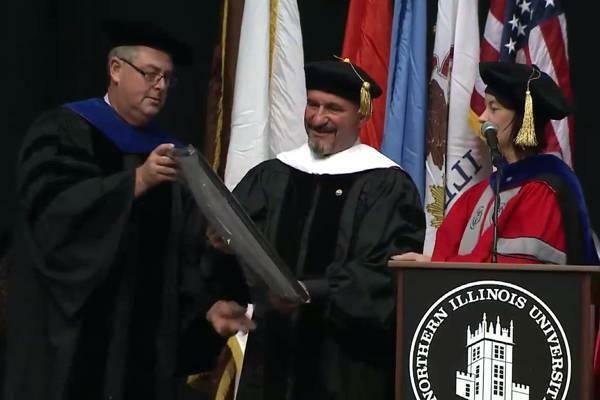 Rector of the University of Tetova, Prof. Dr. Vullnet Ameti, on December 16, 2017, was awarded the title of Doctor Honoris Causa by the Northern Illinois University in Chicago, United States of America. 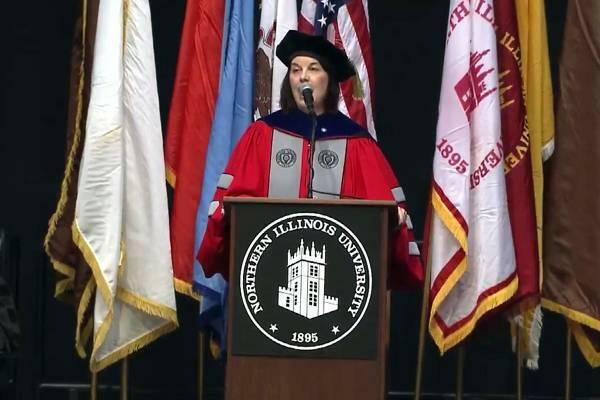 With this act, Northern Illinois University for the first time in its history awards with the highest scientific title that universities bestow, the Doctor Honoris Causa, a personality outside of the US territory, respectively the Rector of the University of Tetova Prof. Dr. Vullnet Ameti. 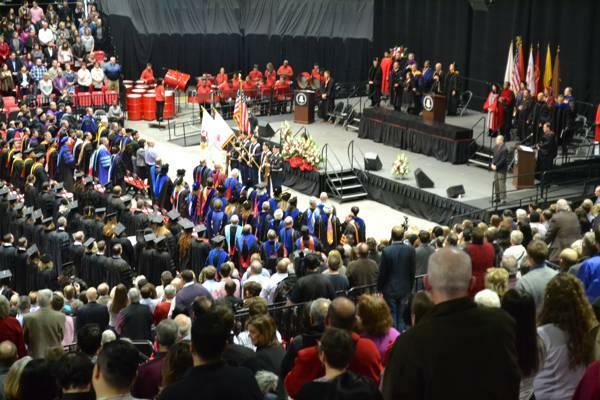 At the solemn graduation ceremony of master and doctoral students, held in one of the halls of Northern Illinois University, where present were the President of this university, the vice-presidents, deans, students and their family members, the vice-rector of this university, at the same time chairman of the Review Committee Prof. Dr. Bradley Bond, said that the Northern Illinois University administrative board bestows the title of Doctor Honoris Causa to the Rector of the University of Tetova Prof. Dr. Vullnet Ameti with the proposal of the academic staff and with the recommendation of the administrative staff. “These titles are awarded to people who have proven themselves as leaders and innovators in their fields. 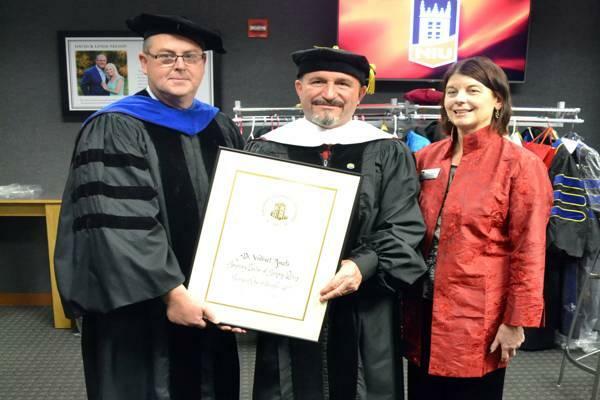 Today we share the title of Honorary Doctor to Prof. Dr. Vullnet Ameti, whom we know as a leader in higher education. This deep gratitude comes as a result of the permanent engagement of Prof. Dr. Vullnet Ameti in the building-up of the University, for the positive role he plays for the benefit of the community in the Republic of Macedonia and in the region, promotion of genuine academic and social values ​​as well as university cooperation at the global level. 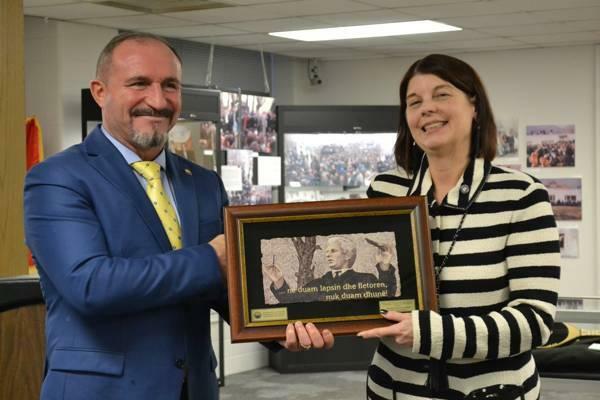 He, before the American and world public presented the short history of the University of Tetova, the way the first classes were held, the oppression by the Macedonian government through the police force, etc. “- added Prof. Dr. Bradley Bond. 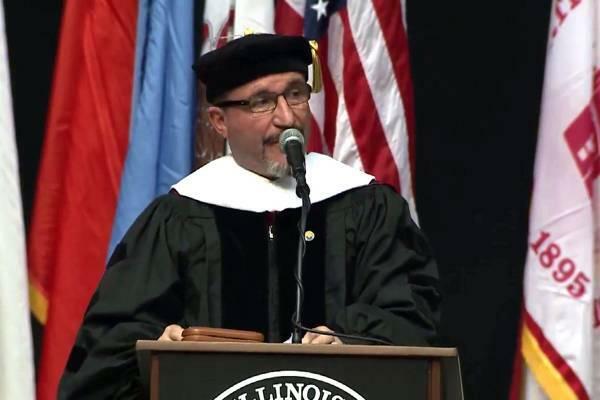 Part of his speech was also the biography of the Rector of University of Tetova, Prof. Dr. Vullnet Ameti, and in brief, he also focused on the collaboration between Northern Illinois University and the University of Tetova, where special emphasis was put on the establishment of the Center for Peace and Transcultural Communication. 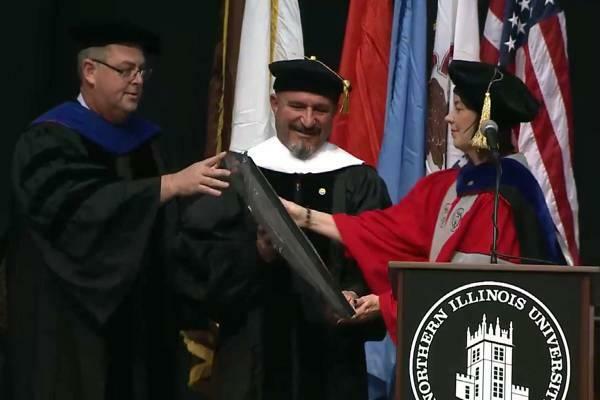 Diploma with the title of Doctor Honoris Causa of Northern Illinois University, to the laureate, Prof. Dr. Vullnet Ameti, was bestowed by the President of this University, Prof. Dr. Lisa C. Freeman. It is a pleasure to be with you on this momentous occasion. 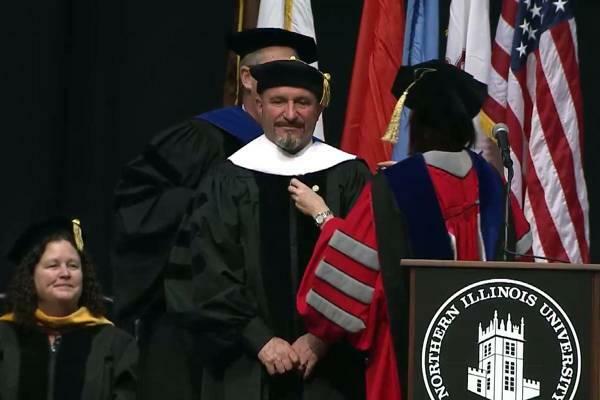 I would like to thank everyone at Northern Illinois University for this high honor. 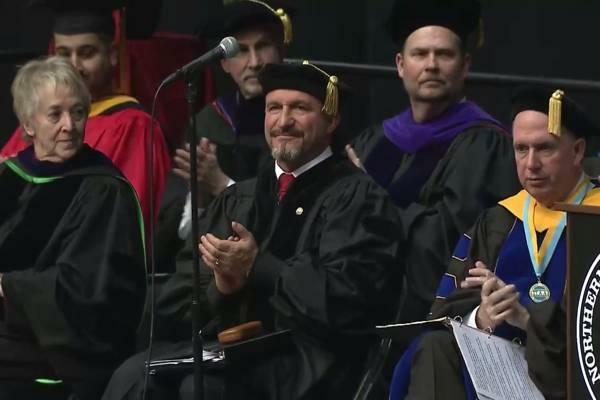 As I see you today, celebrating this very important moment in your life with your professors, family members and friends, I recall my time as a student at the University of Prishtina, in Kosovo during the beginning era of communism. 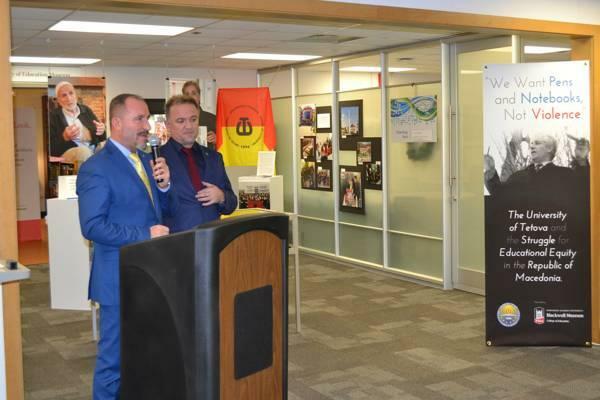 We couldn’t celebrate as you are doing here today, because we were of Albanian decent. We constantly had to face discrimination and terror by the government. 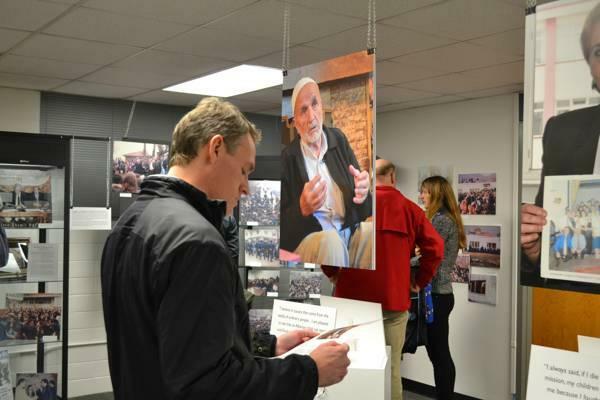 These were very hard times for us, especially for the young generation and for the Albanian population in ex-Yugoslavia. Many of us went to jail, or were forced to remain in the country. We were faced with Hamlet’s dilemma “to be or not to be”, but that made us stronger and unbreakable. With the help of the United States and faith in a better future, the political system ended and came new opportunities. Twenty-three years ago, we established the first Albanian University in the Republic of Macedonia. We had many problems, but through hard work and good friends like NIU, we became a part of the big family of world universities. As students, and Americans, you should be happy and proud to live in a country with a big tradition of democracy, free speech and most of all to be graduating from this prestigious university. 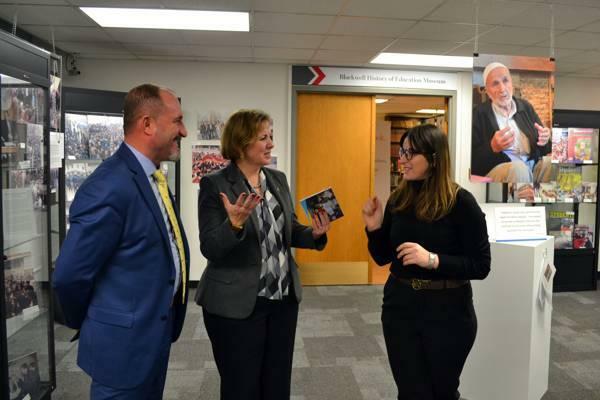 Over the past few years I have had the opportunity to meet many professors from NIU and your honorable president, Dr. Lisa Freeman, who is not only a wonderful person, but a great leader who sincerely cares about the NIU community and making a positive impact on its students. Everyone should be proud of the accomplishments and time that you have spent at this great university. NIU is our strategic partner in the United States. The Professors, vice-presidents and Dr. Lisa Freeman are not only our educational colleagues, but much more than this: they are our family. 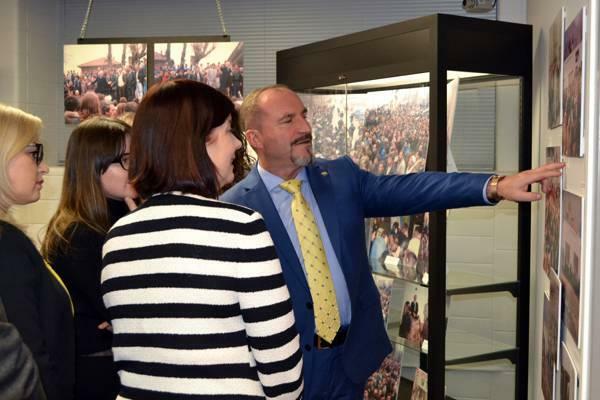 Together we have created common platforms that will impact future generations, like establishing the Center for Peace and Transcultural Communications, aiming to solve political problems in the Balkans through education and creating a stable coexistence between different ethnicities in our region. 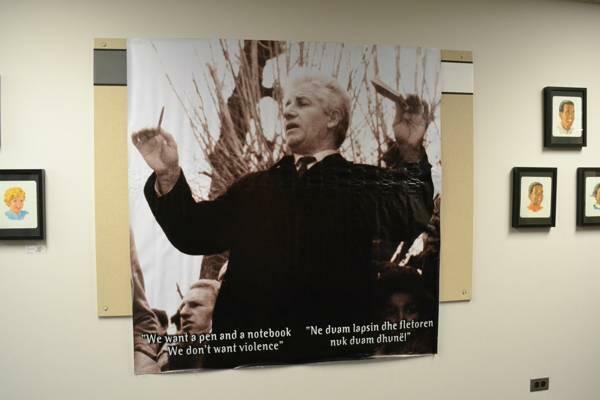 We Albanians strongly believe in American values and the United States of America. For us, the US is like a second home. Your country brought us freedom, peace and helped us gain human rights. For me, one of the most important things in life is education, and growing as a person. 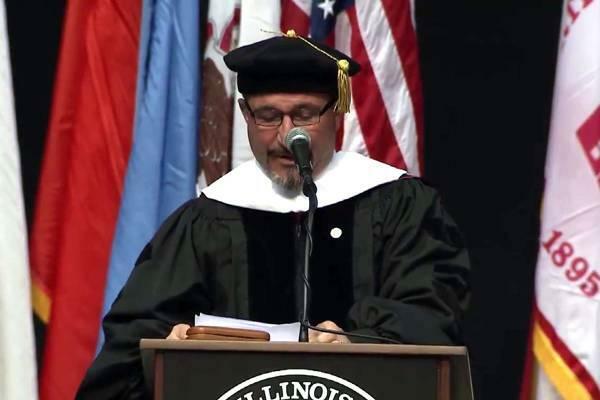 I know that you may feel sad that you are leaving this wonderful university to start a new chapter in your life, but I assure you that you have wonderful things waiting for you in your future. Whether it be to start a new career, create a family or look for new opportunities. Be the best that you can be for yourself, your family and your country. 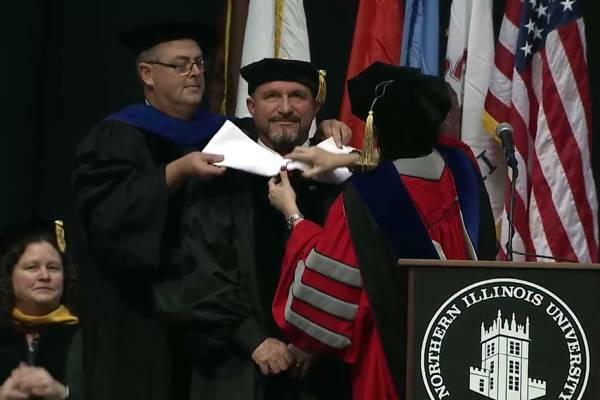 Never forget your classmates, friends, professors and NIU. Support NIU, its students and faculty through Alumni events, supporting current students and giving back. As you contribute as alums, the University becomes stronger for your children and family. Think about the future and not only for yourself. Humanism is very important for the world. You have the opportunity to make a difference in the world. Thank you for giving me the opportunity to speak to you today. 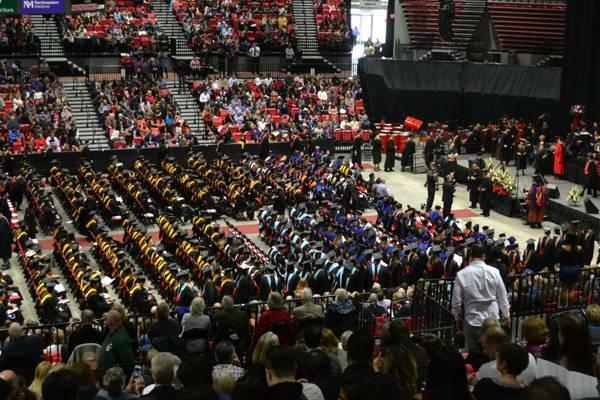 Honoring me is honoring the whole Albanian nation and this honor I would like to dedicate to the University of Tetova, to our martyrs, to all the professors that sacrificed for our University and to the Albanian nation. Thank you all. Thank you NIU. Thank you USA. God bless You and NIU. 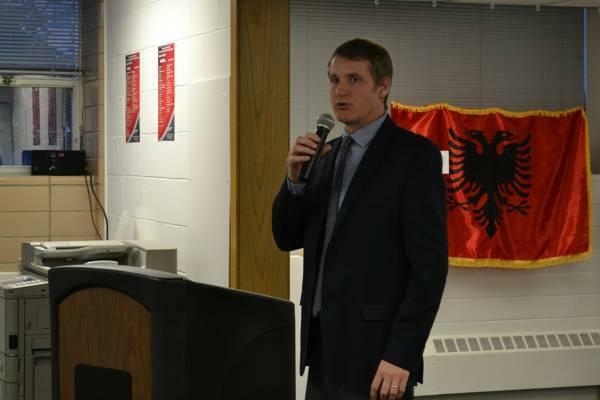 God bless the Albanian Nation! 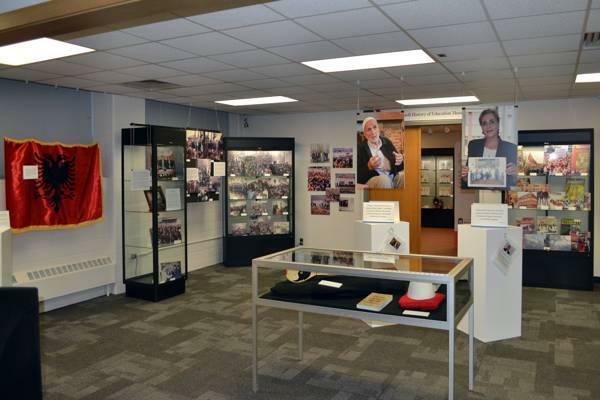 Also in honor of the Rector of the University of Tetova, Prof. Dr. Vullnet Ameti at the Blackwell Museum of Northern Illinois University was opened an exhibition with the history of the University of Tetova, which will remain open until the end of the academic year 2017/2018.